Synthetic Pro, Other Effect Plug-in from Studio Toolz. 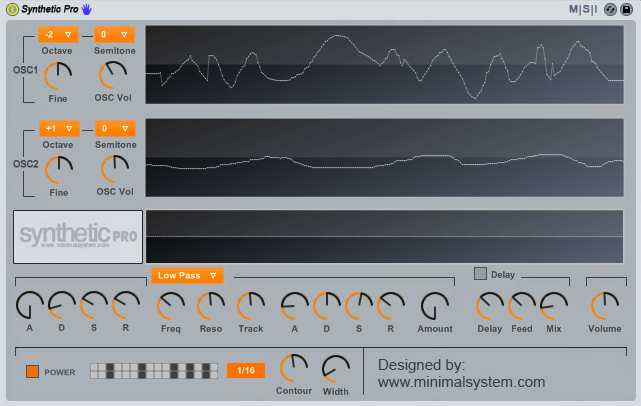 Minimal System Instruments has released a new dual-oscillator wavetable synth plug-in called Synthetic Pro and a new compressor effect plug-in called UltraComp. 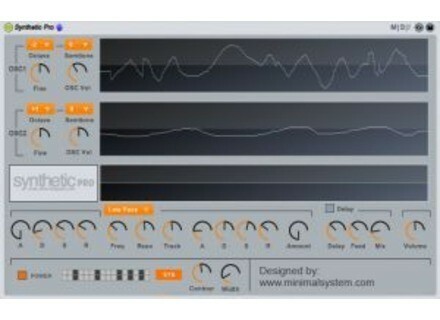 Both plug-ins are available for Windows VST hosts. UltraComp is a vintage-style compressor plug-in that can be used on individual instrument tracks or on your master bus. n-Track Studio for Mac n-Track Software announced the release of n-Track for Mac (beta)-n-Track has now become a tool for cross-platform audio recording and editing. 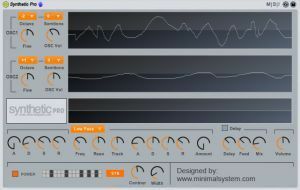 Martinic Combo Model V Updated Martinic has updated its free virtual combo organ Combo Model V to v1.0.2. Ueberschall Jazz Colors Ueberschall presents a color spectrum of Jazz in this sample library, including Swing, Bebop, Hardbop, LatinJazz, SmoothJazz, Fusion and BalladJazz.